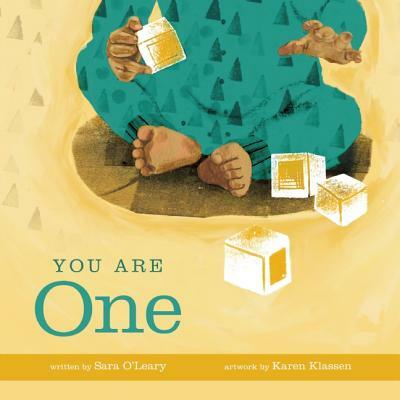 Join us as Sara O’Leary and Karen Klassen debut the trailer for their brand new picture book, You Are One! Watch the video below, then keep reading to learn more about the inspiration behind the story. Can you tell us a little bit about the story behind YOU ARE ONE? Karen: I used pencil, acrylic paint, oil paint, and Photoshop paint. My scanner and computer played a big part, but so did the sketchbooks and brushes. Karen: I’m really curious to learn what pages resonates the most with parents, but for me it’s the teething spread. I loved drawing that big chubby face on the left, and was happy with how the pattern came together with the little guy on the right. 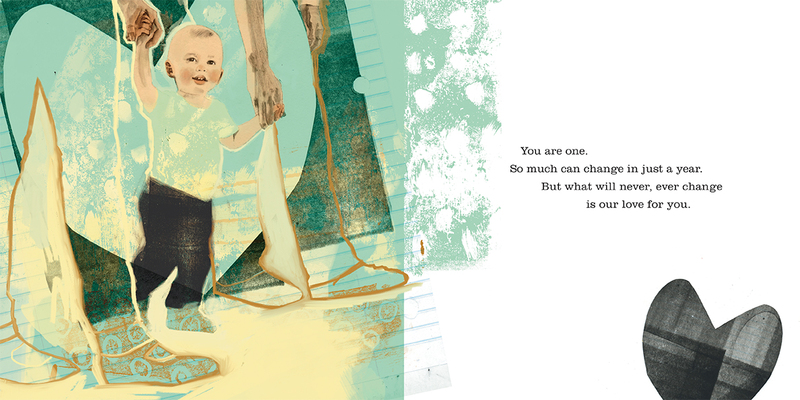 YOU ARE ONE is a celebration of all of the milestones reached in a child’s first year. Is there a particular baby milestone that you love most? Sara:​ I love the monkey in the mirror illustration. I think that’s such a funny stage when babies befriend their own reflection. I also love Karen’s depiction of the baby who has learned how to say “no” captures what adorable little tyrants they can become.​ That first year is so much about the baby becoming their own self. It was lovely to revisit all of that. Thanks for sharing You Are One with us! You Are One will be on sale from Owlkids Books beginning March 15, 2016. 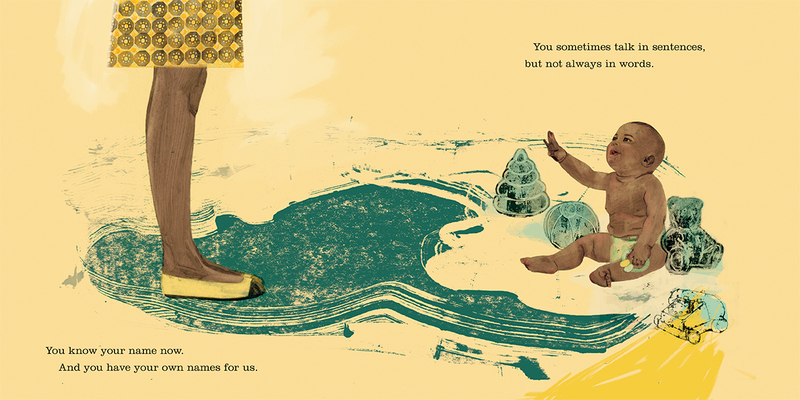 The second book, You Are Two, will be out in September and the final book, You Are Three, publishes next March. 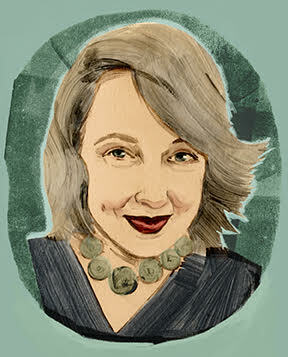 ​Sara O’Leary writes for both children and adults. 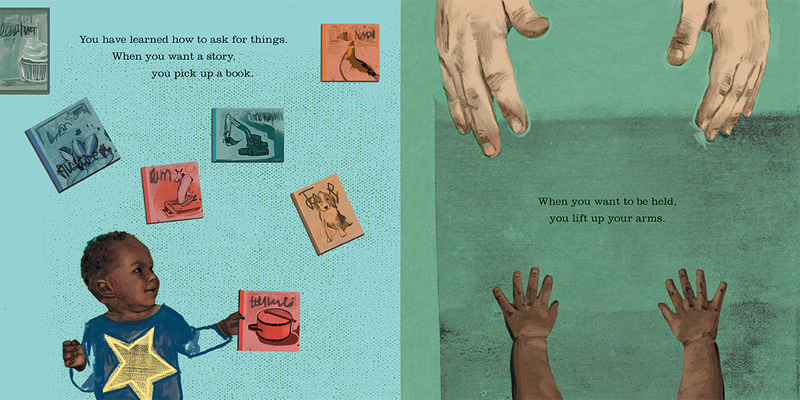 Her most recent publication is This Is Sadie (Tundra Books), illustrated by Julie Morstad. 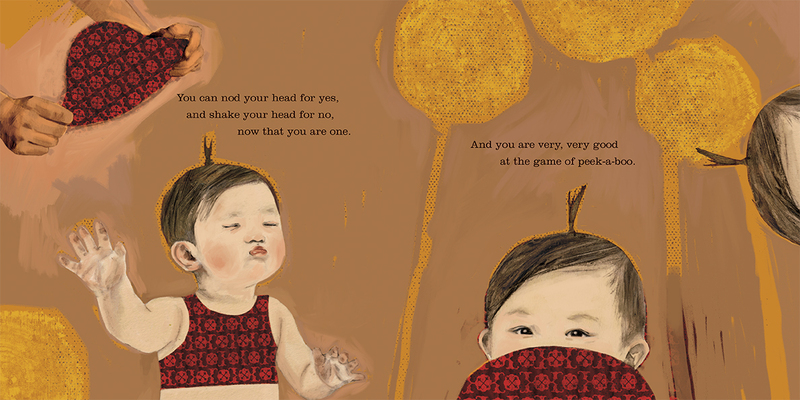 Her next picture book will be A Family Is a Family Is a Family with Qin Leng (Groundwood Books)​ which publishes this fall. You can find her at 123oleary. Karen Klassen is an award-winning freelance illustrator and painter, specializing in fashion, lifestyle, and portrait illustration. Her international clients have included Rolling Stone, LA Weekly, The National Post, The Folio Society and The Sunday Times Magazine London. 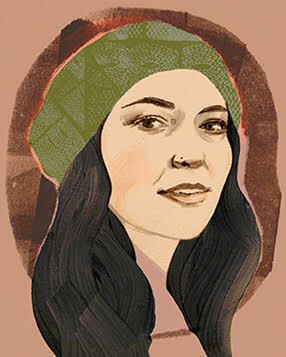 See more of her work at karenklassen.com.